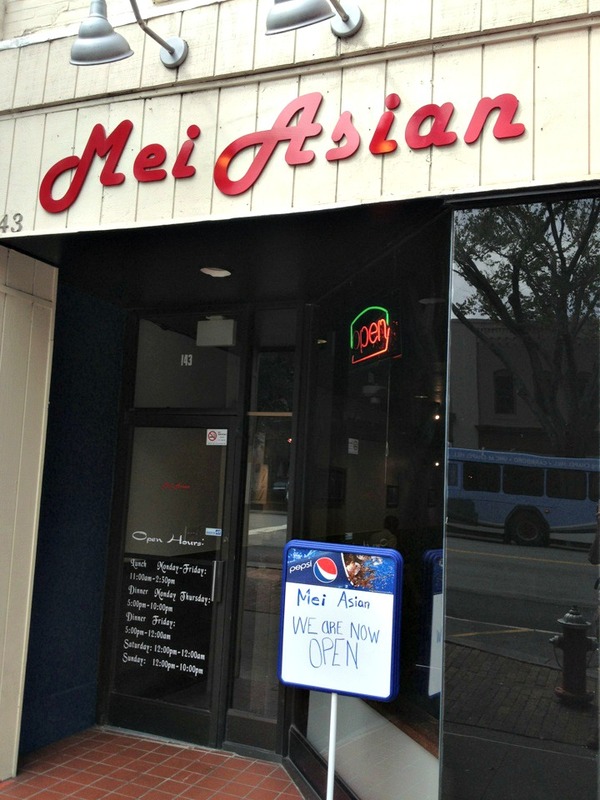 Mei Asian Comes to Downtown! Mei Asian (pronounced ‘may’) opened last week 143 East Franklin Street bringing new style and ambiance to the East Franklin asian dining scene. Many months in the works, Mei Asian offers a delicious take on many favorites from Vietnamese pho to pad thai and light fare like lemongrass chicken & rice with a fantastic sweet carrot sauce! For our first visit we started with some Hong Kong Iced Milk Tea, sweet but not teeth chatteringly sweet and Soy Bean Milk w/ Grass Jelly, something none of us had ever seen! The hot and sour soup was garnished with cilantro and full of tasty tofu with a pleasant note of sour at the end of each sip (something I find lacking in most hot & sour soup offerings). My entrée was the seafood noodle soup filled with shrimp and calamari. With thick noodles the soup was hearty and filling with a smooth mouth-feel. Others at my table ordered lemongrass chicken which was beautifully presented and very refreshing. For dessert, the special of the night was strawberries in a plum wine(?) reduction which was also wonderful! 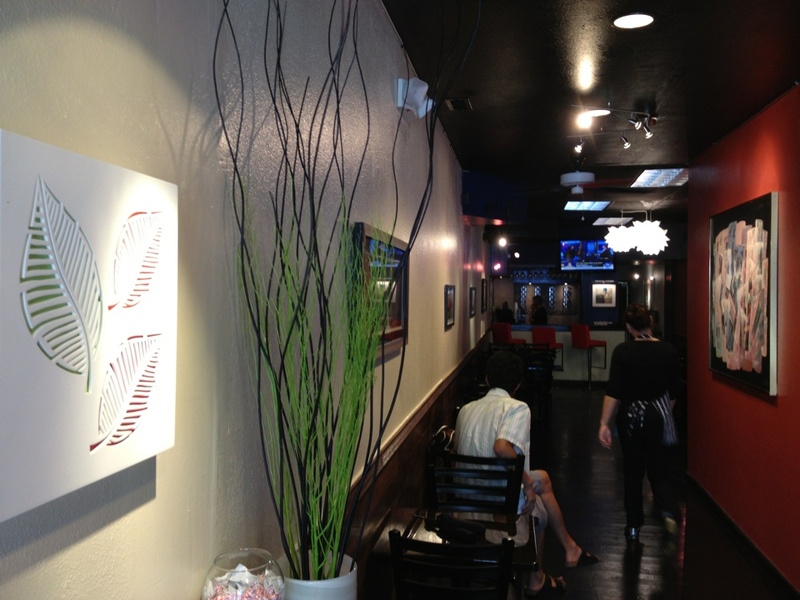 The décor at Mei Asian is comfortable with dark floors and red walls complimented by lovely paintings and a fish tank in the front of the restaurant. The space is long and narrow giving it an intimate feel. For more info visit their Facebook Page. Construction Update at The Courtyard! What's Your Favorite Day to Be Downtown?